Goodreads says, "Blood Will Spill, Hearts Will Break: With a fierce rivalry raging between two warring families, falling in love is the deadliest thing Sophie could do. An epic debut set outside modern-day Chicago. For Sophie, it feels like another slow, hot summer in Cedar Hill, waitressing at her family’s diner and hanging out with her best friend Millie. But then someone moves into the long-abandoned mansion up the block--a family of five Italian brothers, each one hotter than the last. Unable to resist caramel-eyed Nicoli, Sophie finds herself falling for him -- and willfully ignoring the warning signs. Why are Nic's knuckles cut and bruised? Why does he carry an engraved switchblade? And why does his arrogant and infuriating older brother, Luca, refuse to let her see him? 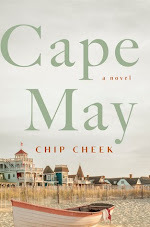 As the boys' dark secrets begin to come to light, Sophie is confronted with stinging truths about her own family, too. Suddenly, she's torn between two warring dynasties: the one she’s related to and the one she's now in love with. She'll have to choose between loyalty and passione. When she does, blood will spill, hearts will break. Because in this twisted underworld, dishonor can be the difference between life and death." Sophie Gracewell has a reputation, thanks to her father, who is currently serving time in prison. She and her best friend, Millie, are spending the summer working at her father's diner with the hopes that it will remain successful in his absence; after all, Sophie will inherit the diner one day. She has her Uncle Jack also helping out at the diner, but he seems to come and go for no reason at all. One boring day at the diner turns into a memorable one pretty quickly when Sophie notices a jar of honey has been left at the counter tied with an ominous black ribbon. She lets her Uncle Jack know and of course, this sets him off. Perhaps this jar of honey isn't just a nice gesture from a friendly neighbor? Also, her summer gets a little more interesting when five brothers move into the old mansion in their neighborhood that has long been abandoned. However, her father and her uncle both tell her to stay away from the boys that live there; he insists they are up to no good. This becomes quite a challenge for Sophie, because she starts to have real feelings for Nicoli, or Nic, and can't deny their mutual attraction. Nic's family warns him to stay away from Sophie as well, but Sophie needs answers. Why do their families hate each other? What is her Uncle Jack really up to? 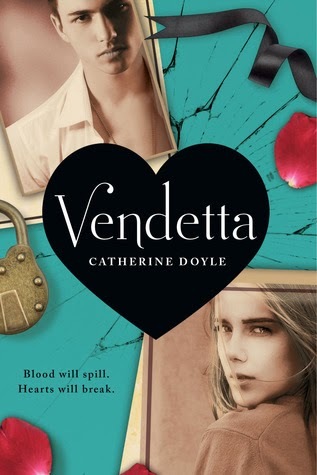 Catherine Doyle's debut novel, Vendetta, is an extremely compelling tale. If Romeo and Juliet and The Godfather had a love child, Vendetta would be it. There are two things you should know about me. Romeo and Juliet is my favorite Shakesperian play and The Godfather is one of my favorite movies ever. So, I was completely sold on Vendetta's plot. I mean how often do you read about the Mafia in young adult literature? Plus, incorporate stars crossed lovers into the mix? Who doesn't love that? Sophie is the type of character I like in Vendetta. She has guts, she is opinionated, but she is downright frustrating. That's what makes her so entertaining though. There were situations where I was practically ready to burst through the pages and wring her neck, because some of the decisions she made were just so stupid. However, I still thoroughly enjoyed her despite my frustrations. I mean that makes for a good story right? Like when the protagonist gets herself into compromising situations and puts herself into the center of the action? Yes, it does. Her relationship with Nic was very Romeo and Juliet, which I loved. Both families were telling the two to stay away from each other, but they just couldn't. Things were way more complicated than that in Vendetta. Also, as Sophie learns more and more about Nic's family, I thought for sure she would run the other way, but something always brought her back. For every upsetting thing she'd find out about Nic's family, she would then find out something shocking about her family. So, things were complex and many secrets were divulged in Vendetta. Be forewarned that Vendetta is a violent book. I mean this is the Mafia we are dealing with, so be expected for some very Godfather moments. Revenge, familial bonds, loyalty were all key elements in Vendetta. So, if you like your YA contemporaries to have some major action in them with a complex romance, then check out Vendetta. It's one of my favorite books of the year. I don't know if I'll be ordering this for my library's teen collection but it sounds like one I'd enjoy reading myself, especially if it is one of your favorites. I am not a huge fan of Romeo and Juliet though I do like the idea of starcrossed love and I like the Godfather too. 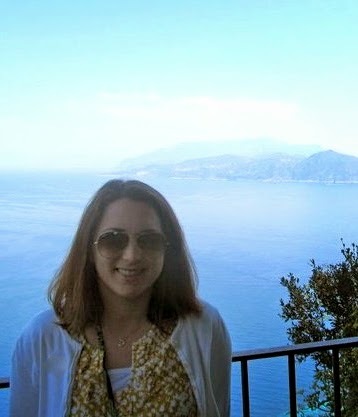 I think you'd like this one, Christina, if you enjoyed The Godfather. You have to like the idea of the mob and the drama that ensues for families involved. Thanks for visiting!! Ohhh! It sounds awesome! I need to read this soon! I really liked it…totally filled my need for a darker/grittier YA read. Thanks for checking out my review, Michelle. Sold. I'll be honest--I never even looked at the synopsis of this one, but I have to admit that I love a good mafia story and I'll never say no to forbidden romance. I'll keep my eye open for this one. Great review! Me too. I can't say I have even read any mafia YA books, so this was a completely unique experience for me. Thanks for dropping by, Natalie!